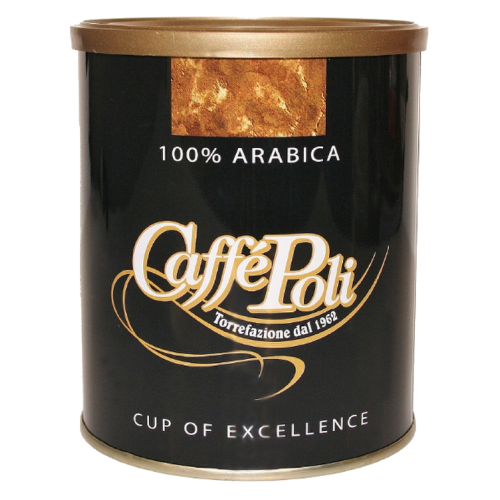 Caffè Poli 100% Arabica ground coffee is made from the most valuable coffees in the world and makes a epresso coffee with a fantastic taste, with magnificent and persistent aroma. Its unique traits are: fresh fruity notes, roundness and fullness of tastes, elegant character, refined and velvety body, with marked but pleasant sour tones that persist into a charming aftertaste, which is full of emotions and intensity. The best choice for relaxation and meditation moments, but also perfect to conclude and important dinner.